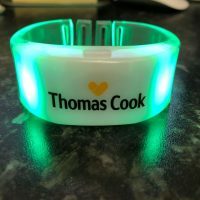 Our luminescent personalised wrist bands for special occasions will really make your friends and guests stand out from the crowd. Who needs standard sticky label name tags when you can have fluorescent party bracelets? 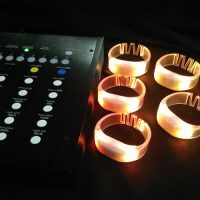 Whether it’s for a disco-themed birthday celebration or at a UV party, our custom party wrist bands will liven up any occasion with their magical glow in the dark coating. We provide your guests with completely personalised wrist bands, with anything from your name to your brand written on them. 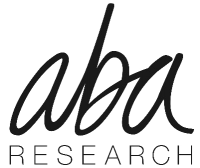 You can even order bands that spell out your guests’ names so that no introductions are necessary at your event. 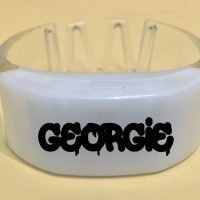 Our custom party wrist bands are available in a range of sizes or colours for a fully personalised experience – perfect for anyone, no matter how specific your requirements. 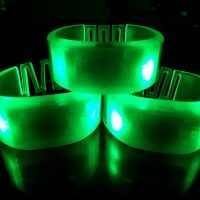 Whatever design you choose, these glow in the dark party wrist bands are guaranteed to bring a little sparkle to your event. 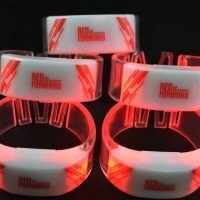 Our neon brightly coloured wrist bands are perfect for dance floors, discos and anywhere else that your guests would appreciate a little luminescence! 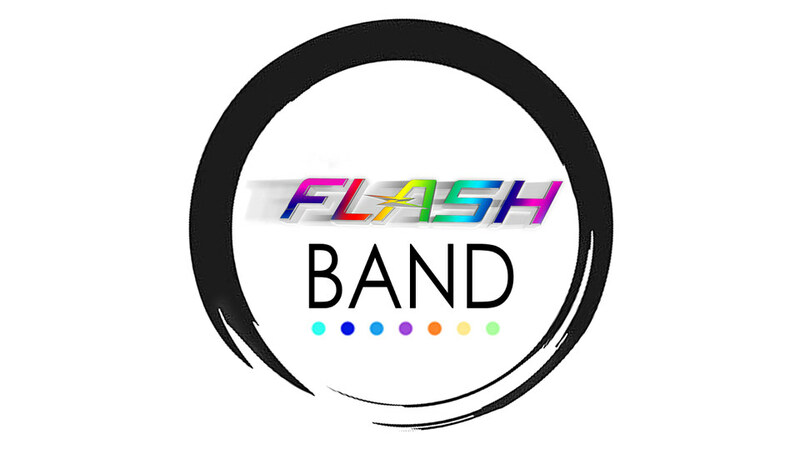 Our custom fluorescent party wrist bands are ideal for any event – from birthday parties, Bar Mitzvahs and Bat Mitzvahs to corporate events, weddings, it’s entirely up to you. The party doesn’t stop there – for more fluorescent fun, check out our range of UV tattoos and neon light painting to light up your party.